Synthesizers aren’t cheap. This is hardly news, we know. If you’re reading this website there’s a very good chance that you’ve spent a fair amount of your hard-earned cash on Synthesizers. Perhaps you’ve spent that cash when you didn’t really have enough money to justify it. We don’t judge; we’ve all been there. 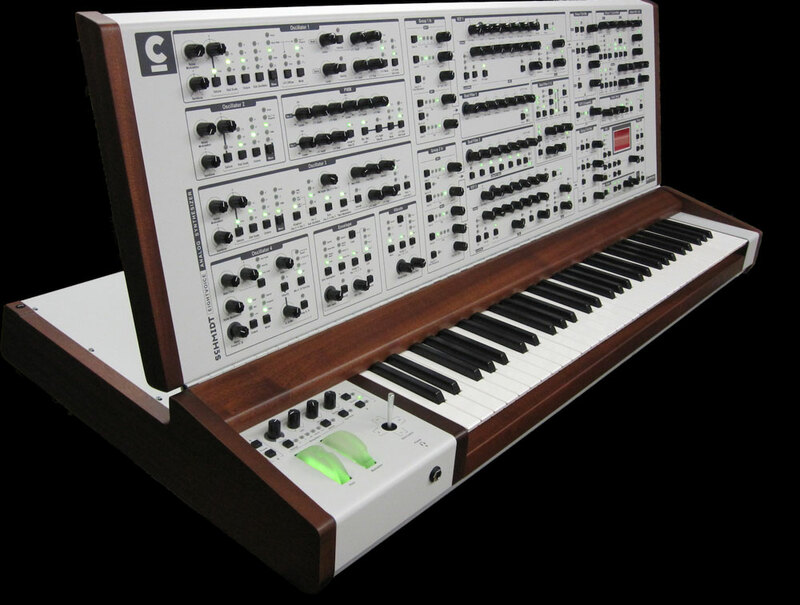 Sometimes very cost-effective Synthesizers disrupt the market and put synth ownership within reach of even the most modest budget. I’m thinking of brands like Arturia and Bastl. We love simple synths because they get us sonically from point A to point B with the minimum of distractions. But we also love complex synths. Synthesizers that have infinite possibilities. Complex devices that are full of sonic promise, like the MatrixBrute. For those of us who like to get really involved there is the holy grail of modular synths. If you have a generous amount of gear buying power then you can probably treat yourself to the ultimate no expense spared mega-synth, the Schmidt Eightvoice Analog Synthesizer. But why only ‘probably’? Because the Schmidt Eightvoice Analog Synthesizer is made in small batches. If you can afford the €19,900 price tag then you need to get your order in quick, only 25 are being built. If you insist on all your synths being black, and hey, we dig that, then you’ll need to dig a bit deeper and shell out €20,900. What does the Schmidt Eightvoice Analog Synthesizer actually sound like?